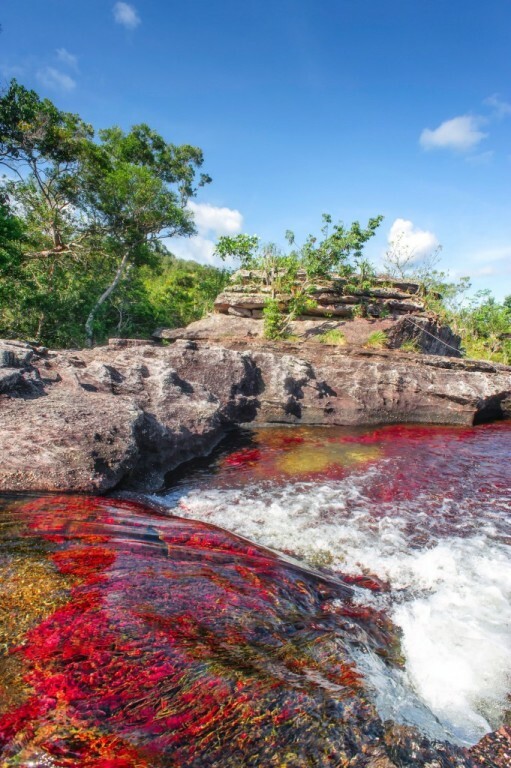 For most of the year, Caño Cristales is indistinguishable from any other river: a bed of rocks covered in dull green mosses are visible below a cool, clear current. However, for a brief period of time every year, the river blossoms in a vibrant explosion of colors. During the short span between the wet and dry seasons, when the water level is just right, a unique species of plant that lines the river floor called Macarenia clavigera turns a brilliant red. It is offset by splotches of yellow and green sand, blue water, and a thousand shades in between. 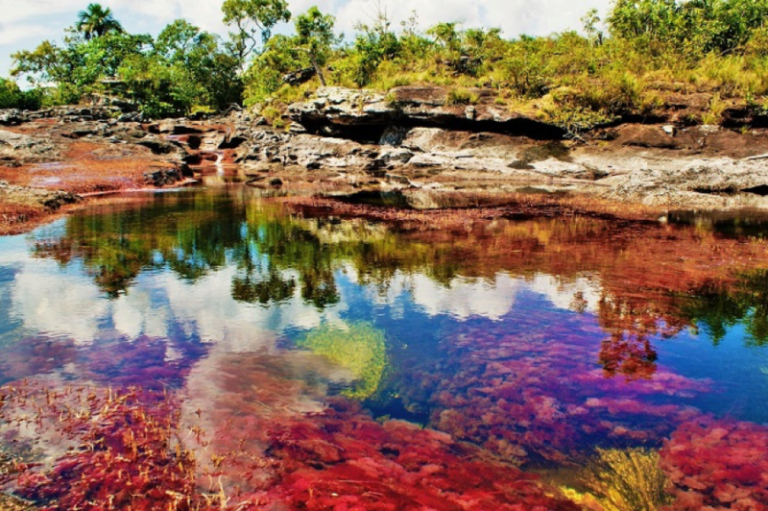 Caño Cristales is located in a remote, isolated area not easily accessible by road. Adventurous tourists can now fly into the nearby town of La Macarena. 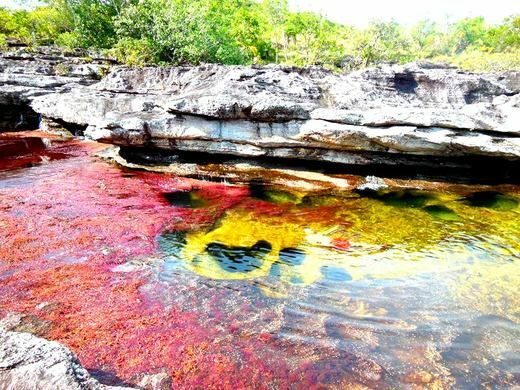 From there it is a short trip into “Serrania de la Macarena,” the national park in which Caño Cristales is located.